Kamehameha I died May 8, 1819 at Kamakahonu at Kailua-Kona. Hoapili (originally known as Ulumāheihei) (c. 1775–1840) and Hoʻolulu (1794–1865) were brothers. Both were trusted advisors to Kamehameha. Their father, High Chief Kameʻeiamoku, was one of the “royal twins” who helped Kamehameha I come to power – the twins are on the Islands’ coat of arms – Kameʻeiamoku is on the right (bearing a kahili,) his brother, Kamanawa is on the left, holding a spear. 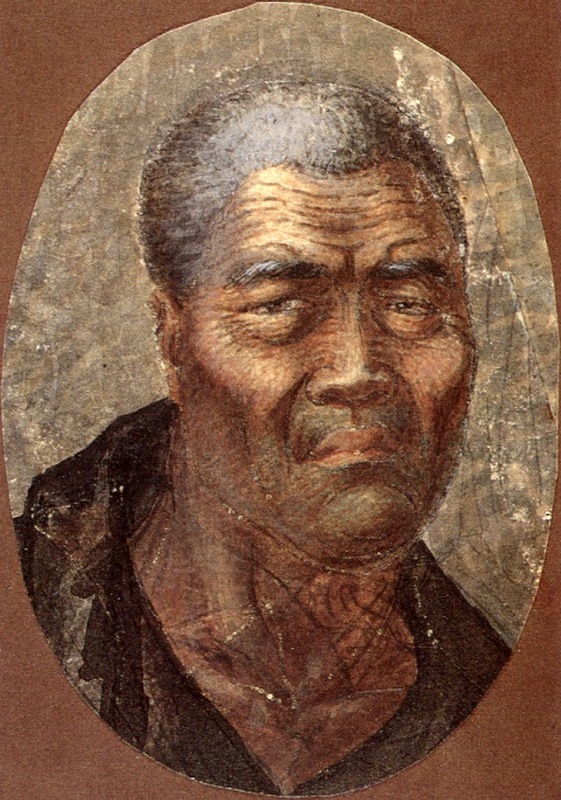 Kamehameha had therefore entrusted his bones to Hoapili and Hoʻolulu, with instructions to put them in a place which would never be pointed out to anyone. Different stories suggest different places where Kamehameha’s bones are located: to an undersea cave that could only be accessed at low tide; over the rough lava plains of Puʻuokaloa to Kaloko in Kekaha; within Kaloko fishpond and others. All stories note he was buried in secret under the cover of darkness. State law (§6E) addresses dealing with burials; §6E-43 Prehistoric and historic burial sites – at any site, other than a known, maintained, actively used cemetery where human skeletal remains are discovered or are known to be buried and appear to be over fifty years old, the remains and their associated burial goods shall not be moved without the department’s approval. §6E-43.5 Island burial councils; creation; appointment; composition; duties. (a) The department shall establish island burial councils for Hawaii, Maui/Lanai, Molokai, Oahu, and Kauai/Niihau, to implement section 6E-43. The councils shall: Determine the preservation or relocation of previously identified native Hawaiian burial sites; Assist the department in the inventory and identification of native Hawaiian burial sites; Make recommendations regarding appropriate treatment and protection of native Hawaiian burial sites, and on any other matters relating to native Hawaiian burial sites. The image shows Kamehameha. In addition, I have added other related images in a folder of like name in the Photos section on my Facebook and Google+ pages.